Denenes products are very special. Made in Spain, the denenes range of products are very popular and have a unique fragrance to them in which you will fall in love with. 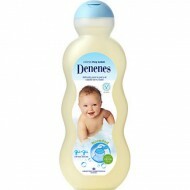 At Lemon Fresh UK our denenes products are sourced directly from Spain and sold in the UK. We aim to provide denenes products for the very best UK prices, all backed up with the fantastic speedy service you have come to expect with us.